It’s been a while since I posted a life update of any kind so here goes… Here are my inspirations and aspirations for the rest of the year. The last few months have been challenging on many fronts; financial, emotional and physical. So, it’s not surprising that a few objectives have fallen by the wayside. But, it’s October. The beginning of the final quarter of the year and my birth month. Both of which encourage a hard look at accomplishments, future goals and (dare I say it) failures for the year so far. For the last eighteen months I’ve been battling to regain the traffic and sales I once enjoyed on eBay. Unfortunately eBay’s change in focus from a marketplace friendly to small business and casual sellers to one where large corporate businesses are their preferred sellers has resulted in ever declining traffic and sales. Mine isn’t the only small business to have suffered from this change so I’m definitely not alone. But… While misery loves company, it doesn’t pay the bills. I also have an Etsy store which, while its customer base is growing, is unlikely to ever replace the volume now lost on eBay. So, it’s time to face reality and move on. If you’re in the market for party supplies, stay tuned for clearance sale details. Interestingly, I don’t see the demise of the business as a failure. It was my inability to see that not only had things changed but that those changes were beyond my control as my real failure. Had I been aware and accepted the situation as it was, I could have moved on 12 months ago and still had my emergency fund intact! You live and you learn. Now that I’ve chosen to wind up the business, it’s time to actively pursue my goals of freelance writing and blogging as a business. To that end, I’ve just signed up for a freelance writing course. 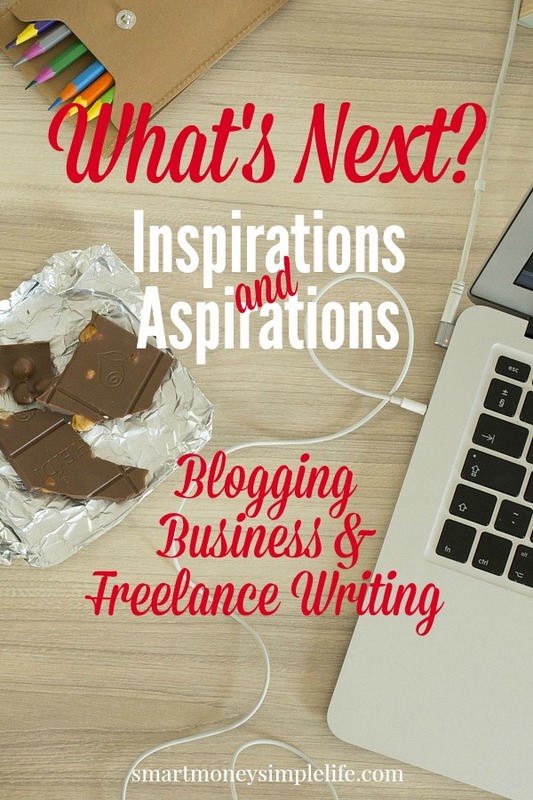 One I hope will equip me with the skills and tools to make freelancing a viable proposition. I have many years experience writing for a living but technical writing is a different beast to writing articles for publication. Plus, I really had no idea how to start. So, investing in a course seemed like the sensible first step. I looked at a lot of different courses currently being offered around the web before settling on this one. Once I’m done, I’ll provide more details. And, hopefully a heartfelt recommendation! As far as my financial aspirations go, I’m going to put myself out there and join Sarah in her $10,000 per month challenge. Hopefully committing to this blogging and freelance challenge will really push me to be the best I can be. Maybe the blog (and freelancing) incomes will come along for the ride, too. Having a fresh (and now public – eek!) goal to attain is going to keep me busy. Plus, I’m looking forward to feeling positive about my work again! During the short time I’ve been blogging, I’ve met (virtually) some truly inspiring people. Bloggers who have created communities and websites that offer valuable information, support and inspiration to many, many folks around the world and in doing so they’ve created profitable businesses and enviable work from home (or RV or travel hacking) lifestyles. I’m not sure if they realise just how inspiring their achievements are… Not just to their readers but other bloggers, too. In my view, you can never have enough ideas and inspiration for saving money, making money or living a frugal lifestyle. I hope I can add some value and inspiration in that realm, too. The final quarter of this year is going to be jam packed with new (and slightly scary) experiences. I expect to be challenged, in some way, on a daily basis. Old thought and behaviour patterns will need a revamp. Mindsets will need to change. And, I’ll need to take a lot of leaps of faith. It’s bound to be interesting! I really hope you’ll come along for the ride. Have you completely changed direction in your life? What did you do and how did you manage it? Sorry to hear about the loss of business but it’s great that you are using the setback to get yourself back on track! I’ve been dealing with some setbacks as well and the change in the weather has inspired me to take a fresh look at what’s important and jump back on the horse as well! Good luck! Don’t mention the weather! We’ve already had three days of 90+f degrees and it’s the first week of October! Plus, bush fires are already a problem. Not looking forward to this summer. Glad it’s cooling off for you though! The way I look at it, setbacks give us a chance to reassess our position. I hope you continue to find the positives! So sorry to hear about your issues with selling on ebay. I always thought we’re better of working on our own sites, you have full control and can promote as you wish. Right now my path is still stable, but I did change directions at least 2 times before: not becoming a teacher, after graduating such a specialized high-school and college (I chose to be a radio DJ instead). Then, when the radio station closed, I got my web design business up and running. Setbacks are always difficult, but in this case it wasn’t anything that you did but a shift made by eBay, which can be frustrating. It sounds like it didn’t get you down and you’re able to refocus onto something new, which says a lot about your personality and fortitude. Keep at it! So true. Sometimes it’s a challenge to see it that way though. I’m glad you’re not blaming yourself about eBay. Because blame only belongs in situations where something you did (or didn’t do) caused negative results. Sounds like that’s pretty much the opposite of what happened. Happy birthday! Good luck in your freelancing. It’s tough to crank out content all the time, but as a technical writer you might know this all too well. Thanks Abigail, freelancing will be a challenge, I’m sure. I’ve also started pitching for IT work, too so hopefully there’ll be a nice mix to keep things interesting. Sorry to hear about your business. But perhaps change will be a good thing!